I just love how Barry M's Pink Iridescent looks over a black polish. It completely brings the glitter to life. It's looks ok on it's own after a few coats but I always use it as a layering polish. 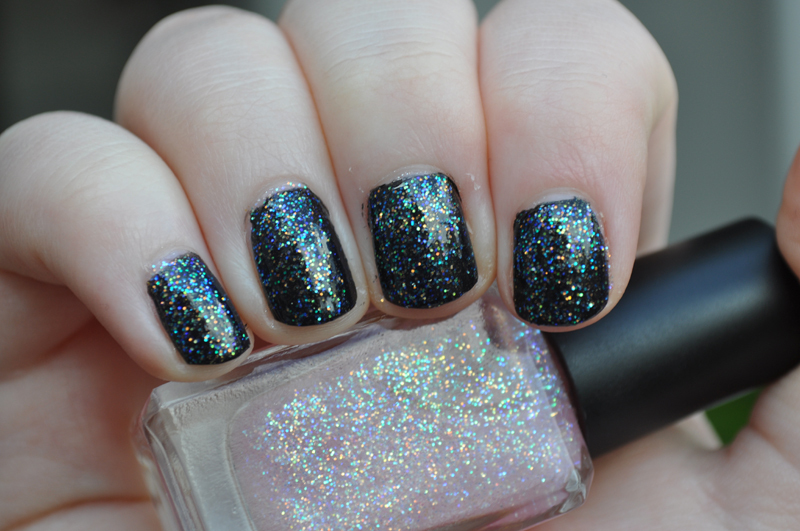 It reminds me of a cheaper version of OPI's Last Friday Night which is good as I'm about to run out of my mini bottle. This is two layers of black and one thicker layer of pink iridescent.